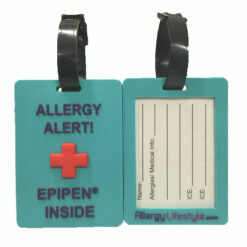 These Seat Belt Medical Alert Straps are perfect for alerting medical personnel to your or your child's medical conditions in case of an emergency. The straps are bright and noticable so your information will be seen. the child size strap is perfect for fitting around car seat straps or kids's school bag straps. The larger adult size fits around seat belt straps, bags, buggies, walking frames and much more.